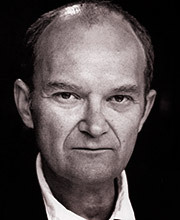 Barrie Jaimeson trained at The Webber Douglas Academy and has had a long theatre career appearing in many London productions, repertory theatres across the country and national tours. His television appearances have included The Bill, Pie In The Sky, Albion Market and Bergerac. He has also appeared in A Kind of Hush for the First Film Company.